This move-in ready home in Greeleys highly sought-after Summer Park subdivision has 2 bedrooms, 2 full bathrooms and attached one car garage. Both bedrooms and living room face West, boasting partial mountain range view with the Master including a large walk-in closet, en-suite master bath with upgraded tile shower and double sinks and large linen closet. Eat-in kitchen with island as well as a dining nook lead to a quaint patio. All Stainless-Steel kitchen appliances are included, and cupboards are Espresso stained. 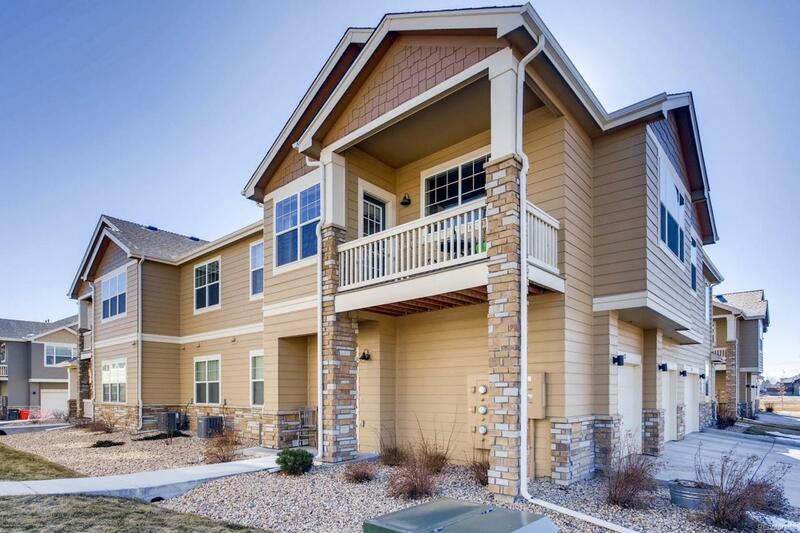 9 ceilings and large picture windows facing west let in tons of natural light, youll want to watch the nightly Colorado sunsets. HOA covers; snow removal, grounds maintenance, hazard insurance, exterior maintenance, roof, garbage, water/sewer, basic cable and Clubhouse with recreation room, theatre room, card room, full kitchen, gym and sparkling pool. Dont miss your opportunity to catch this adorable condo before its gone!